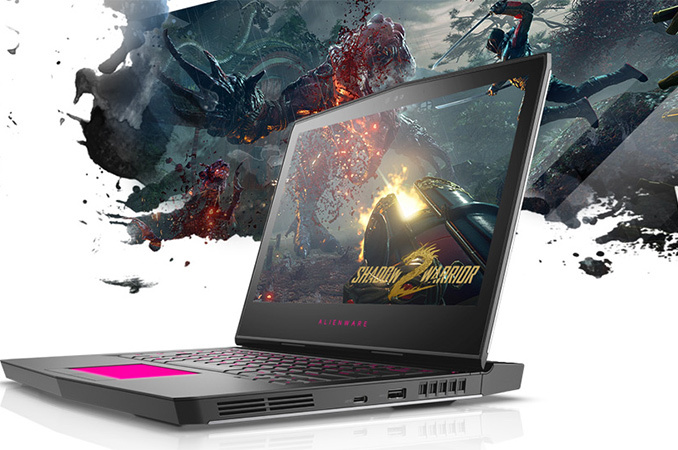 Alienware last week introduced the third generation of its 13” gaming notebooks. 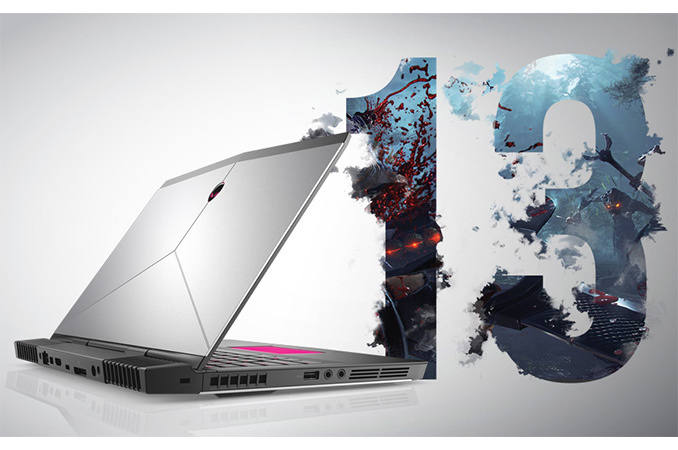 The manufacturer describes its new Alienware 13 R3 machines as the world’s first 13-inch laptops capable of handling VR workloads and equips them with appropriate hardware, such as quad-core Intel Core CPU, NVIDIA’s GeForce GTX 1060 GPU, high-end SSDs and the appropriate ports. To appeal to traditional gamers, Alienware also offers an optional QHD OLED display with its 13” notebooks. 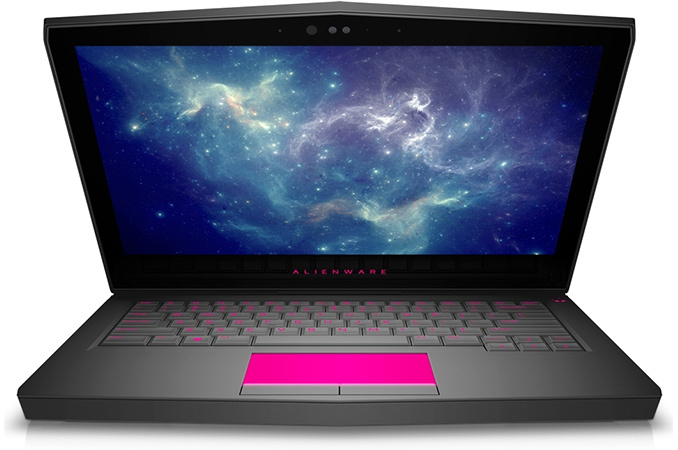 Dell’s boutique PC division introduced its first 13” gaming laptop, the Alienware 13, in late 2014. While the system was relatively powerful, its performance was not maxed out (a dual-core CPU, a low-end GPU, and an HDD in an entry-level configuration) and its key selling point was support for the Graphics Amplifier, an external box for video cards. The second-generation Alienware 13 released in 2015 got considerably faster graphics, but it still used dual-core CPUs, which can provide insufficient performance for come games. The manufacturer decided to improve the performance density of its third-generation compact gaming notebook significantly, which is why the Alienware 13 R3 comes with a quad-core Intel Core i5/i7 CPU and a rather powerful 16nm GPU. Moreover, the key selling point of the PC is not its eGFX support (it is still supported), but compliance with minimum requirements for VR gaming set by Oculus VR. Alienware offers four Alienware 13 R3 models based on the 45W Intel Core i5-6300HQ or the 45W Intel Core i7-6700HQ and all models will feature NVIDIA’s GeForce GTX 1060 GPU with 6 GB of GDDR5 memory. The systems come equipped with 8 or 16 GB of DDR4 SDRAM (upgradeable to 32 GB), one or two SATA or PCIe SSDs (upgradeable to 2 TB of storage), Rivet Networks' Killer 1435 802.11ac 2×2 WiFi + Bluetooth 4.1 and E2400 GbE controllers, an HD webcam with IR presence detection and so on. On the connectivity front, the Alienware 13 R3 supports Thunderbolt 3, USB-A, USB-C, mDP 1.2, HDMI 2.0 ports, 3.5 mm audio jacks as well as a Graphics Amplifier port. To further appeal to gamers, the Alienware 13 R3 has improved audio sub-systems (with larger speaker boxes), a TactX keyboard with n-key rollover and 'optimized key shape' as well as AlienFX lighting that uses fiber-optic guides. From a performance point of view, the Alienware 13 R3 meets the minimum requirements set by Oculus VR for games compatible with the Oculus Rift VR headset. However it's worth noting from a connectivity point of view that not everything is simple. The system only has two USB Type-A ports, whereas the Oculus VR headset needs three USB 3.0 ports and one USB 2.0 for Xbox One controller. This would suggest the need for USB hubs (or USB ports on the Graphics Amplifier — it has four of them). A note on the camera - Dell actively promotes both the use of a Windows Hello capable camera system (presumably using Intel's RealSense) as well as the integration of Tobii's eye-tracking software. Up until this implementation we had seen Tobii's eye-tracking implementation using special sensors, but it sounds as if the R13 can still do this with the Windows Hello capable system. We would imagine that it might not be as accurate, or be more computationally expensive, but it can be an interesting feature nonetheless. Up next are displays. The configurations featuring Intel Core i5 CPUs come with a TN HD (1366×768) or a touch-sensing IPS FHD (1920×1080) panel. Meanwhile, the Core i7-based laptops can boast with QHD OLED panels (2560×1440) with touch support, 400 nits brightness and 100,000:1 contrast. All Alienware 13 R3 notebooks are equipped with a 76 Wh lithium-ion battery (up from 51 Wh inside the A13 R2), but the supplier did not mention battery life of different configurations. The new Alienware 13 R3 laptops are already available in the U.S. They will hit Europe next week and China later this month. The most affordable version (Core i5-6300HQ, GeForce GTX 1060, 8 GB RAM, 180 GB SSD, HD TN display, etc.) costs $1200, whereas the premium model (Core i7-6700HQ, GeForce GTX 1060, 16 GB RAM, 512 GB PCIe SSD, QHD OLED display, etc.) is available for $2100. All configurations of the Alienware 13 R3 can be customized to better meet the needs of their owners. Moreover, since the A13 R3 laptops support external graphics (there is no word whether they support TB3-based eGFX or have to use the Graphics Amplifier exclusively), they can be upgraded over time.